No real surprises here other than a guy like Josh Fellhauer being left off. He is in the upper minors, polished and hit over .300 in a full AA season last year. Thought he would get a chance to at least stick around for two weeks getting clean up time. He fits well for a backup outfielder role and in my opinion, just as good or better than any of the outfielders on this list except Hamilton. 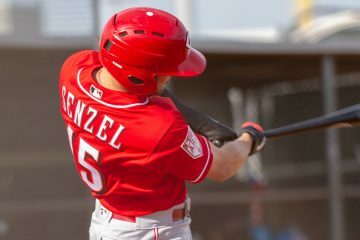 Despite me posting the Farm System Rankings based on his system, I don’t believe that I posted a link to John Sickels Reds Top 20 prospects, which came out on Sunday. That leaves just Baseball Prospectus left as the major publication who hasn’t covered their Reds top prospect list. Henry Rodriguez is hitting .302 in the VWL playoffs. Felix Perez is hitting .306 in the VWL playoffs. Neftali Soto is hitting .167 in the PWL playoffs. Avoid questions that will require more than a paragraph to answer. Avoid questions that will require me to look up an answer. Each user gets 3 questions. Do you see any scenarios where Hamilton gets moved back to shortstop? Such as Zach Cozart getting a season-ending injury. I liked Sickels’ article. Lotzkar of the Hill People is my new favorite baseball nickname. I really don’t see it happening. If that were to happen, they would make due with what they have or trade for a stop gap. MLB Trade Rumors indicates the Dodgers may have interest in Scott Rolen. 1. What do you think they might offer? 2. Are the Reds even considering bringing him back? 3. Do you think the Dragons will be much improved this season? 1. I wouldn’t offer him more than $3M. 2. I think they are. 3. Should be, but you never really know until you know. At the start of last year I figured they would be better than they wound up being. Where do they start and end year. 1. Going into ST, who are your untouchables? 2. Is there someone to take over for Ludwick in 2 years or do they sign/trade for someone? 3. What do you hope to see from Winker this year? 1. Stephenson. And that is only because no one is going to call and offer Harper or Trout for him. 2. There could be. It depends on who develops in that time. Maybe Lutz figures it out. Maybe someone breaks out between now and then. 3. 10-15 home runs. I believe in everything else he does with the bat. Is there any reason to thinbk that Negron is still a prospect? I don’t recognize the name Derrick Robinson. Who is he? What about Jay Bruces offer to come in lighter and play CF? 1. I think he could still be a Major Leaguer. I don’t know that he will ever really hit, but he can play darn near anywhere on the field and teams love guys like that. 2. A free agent we signed as a minor leaguer. 3. Love it. He is the better option to play CF than Choo. surprised Sickles didn’t include Theo Bowe, at least in the “others” category after the top 20. If it wasn’t for Hamilton, I think he would have led that league in steals. What improvements does he need to make in order to be considered a prospect? Does Jason Donald have options? By my math I don’t think so. Perhaps show either a lower strikeout rate or a tad bit more power. There are questions out there still about whether or not he can hit well enough to be a part time player. He had a very high BABIP in Bakersfield (as a truly elite speed guy, his BABIP has been all over the place in his career, so we don’t have a good idea of where it should be), but his strikeout rate did drop down from where it was early in Dayton. Still, would like to see it at 15% of lower and maybe some more power because right now he doesn’t have any at all. 1. How worried are you about the depth on this team? Last year we had Frazier to step in and fill any number of positions if needed to for extended period of time. Seems after the starting lineup there is a lot of question marks if there were in significant injuries. 2) There are only a couple of top position prospects in the origination but a lot of young talent in A ball with plenty of tools. Who is one position player you would not be surprised to see put a season together that gets him looks as a top 100 prospect in baseball? 3) The Reds seem to have most positions locked up for the next 2-3 years with players under contract. They also should be drafting late in the first round and even have an extra pick awarded to them this year. I believe they should look to draft High School talent with big upside over drafting college players with less upside but closer to big league ready. How would you approach the draft with those things in mind for the next few years? 1. A little bit. Obviously when your starter goes down, you take a step or two back in most cases. Still, AAA seems full of a bunch of question marks, Hamilton and HRod as far as position players go. Hope for health. 2. Easy answer would be Winker. Tougher answer: Jonathan Reynoso. 3. 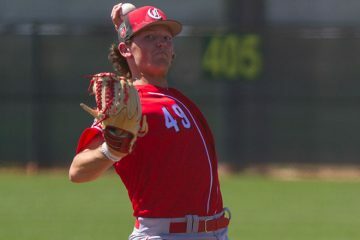 In almost every year where the Reds have had multiple picks in the first few rounds they have drafted a high upside, but raw kind of player as well as polished guys. It has worked well for them in the past. Generally speaking, I prefer high schoolers in the first round over college guys, so I personally would lean that way in most scenarios. 1) What should we expect out of Pedro Diaz this year? People keep hinting around that he’s the next big thing, but we haven’t heard much yet. 2) Heard anything on Vaughn Covington? He sounded like a good high upside arm, but was pretty bad last year. 3) What’s Langfield’s upside? It seems like there’s a disconnect between his stuff and what people are willing to project out of him. 1. I think it will be interesting to see where he starts the year out. His peripherals were very strong in Arizona. Will he head to Dayton (more like will there be room for him in Dayton?) or will he be held back for Billings? He has a legit arm and as I noted, his peripherals were pretty darn good last season. 2. Still has a good arm, but he has a lot of work to do. 3. Upside is probably a #2-3 starter. Needs to really improve his control to get there and needs to show he can handle the workload as well. 1. Your analysis of minor leaguers and how they will translate into major leaguers is excellent. But can you name a couple guys (one positive, one negative) who were huge surprises at the MLB level? 2. Everyone’s top priority in signing seems to be locking up Latos… After years of suffering through Bailey’s hard-headedness after hearing he was the best pitching prospect in years, he seems to have finally figured things out. I think locking him up should be higher priority than Latos. Thoughts? 3. The Reds have an excellent farm system, but seem so weak on sluggers. Any player at the lower levels that might be a legit MLB cleanup guy? 1. I expected Jay Bruce to be better at the plate than he has been. Not that he hasn’t been a good hitter, he has, but I expected him to be better than he is right now. On the flip side, Joey Votto wound up better than anyone ever imagined. I think a lot of people figured he was at least an .850 OPS bat. But 1.000+? No one saw that. 2. I would lock up Latos first and if I could only lock up one, he would be the guy. But I would be working hard to try and get both signed for 5 years from today. 3. Not unless Yorman Rodriguez puts it together. Who’s your pick between Izturis and Donald for backup SS? Why? If Hamilton struggles in AAA this year and LaMarre puts up a solid season in AAA what are the chances that LaMarre is the CF next year allowing Hamilton another year to get seasoned in L-ville? What’s the Reds plan for HRod? With Hannahan signed for two years and a lot of overlapping positionally, is HRod spending the majority of the next two years in L-ville, used in a trade, or given a chance to develop more at SS? 1. Whoever is the better defender and I honestly don’t know who that is between the two. I think the offense is good enough to cover no bat at shortstop if they need to (they already need to unless Cozart steps forward there), but making up for a bat and a glove at the position is asking a lot. Go with the glove. 2. I think we would see Heisey give center a shot before they would toy around with Hamilton in that kind of way. 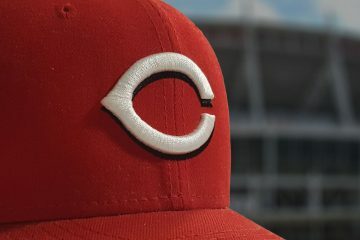 I believe that the Reds have their chips all in on Hamilton and aren’t going to push another prospect ahead of him. 3. He isn’t a shortstop, that much I can promise you. I think their plan is to push him for a super sub. If he does what he has always done, and that is hit, then Hannahan is going to wind up being moved. Doug…Fellhauer is a good hitter and a pretty good outfielder too but he only played in games against right handed pitchers giving him 120 less at bats then an everyday player. What do you think he would have batted if he played everyday? I do agree, he should have been invited ST. I don’t expect him to be a starter, so the fact that he is a platoon player doesn’t mean anything really. Sure, he wouldn’t have hit as well as he did if he faced lefties too. But that is what he is, a left handed hitting platoon outfielder who can play all three spots. Are you surprised by LaMarre’s omission from Sickels’ list? Not even an honorable mention. Is Fellhauer’s ceiling a 4th OF? 1. A little bit, but to be honest, the guys that I would rank between 15-45 are all incredibly close in terms of prospect value to me. 2. Probably. He doesn’t hit lefties well, so that limits his ability to start. 3. A guy. Honestly, I don’t have a clue. I know its early yet but Louisville should be the strongest full season (reds)affiliate this year and i do not think it will be close. Right or Wrong? Is this the most excited you have been about the Reds on paper before spring training? Being born in ’90 i can assure you it is for me. What is a prospect in the lower levels who gets no pub but is a “Sleeper” for you? 1. Wrong. I would take the Dragons. 2. Yes, though the last few years rank right on up there too. This team had a lot of talent. 3. Pedro Diaz. I know BA has mentioned him some, so if we want to go deeper than that, Sal Romano. I didn’t have him in my own Top 40, but I could see him being in the Top 10-15 next year if he develops a little bit. 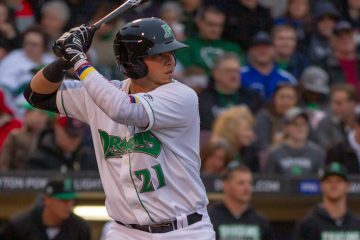 One thing to remember is the Dragons will be hosting the Midwest League All Star Game and even though they will say it is all about development the Reds have a way of loading up their teams when something like this is going to happen since the spotlight will be on them, for at least the first half. What are your thoughts on Brodie Greene, Kyle Mcmyne, and Wes Mugarian? McMyne has a live arm, but he has some real control problems. Mugarian has an average arm, maybe slightly above-average at times. Not sure he can stick as a starter though. We kind of saw him do both the starting and relieving thing with Dayton this year. As a reliever his ERA was under 3. As a starter, it was over 8. Let’s note that it was a small sample size for both, but he gave up 7 home runs in 24 innings as a starter and none in 24 innings as a reliever. Brodie Greene needs to find the power he had in 2011 or make drastic changes elsewhere in his game. Without that power, he isn’t much of an offensive player at all. Both have big time tools. Neither walk much but both are young and have time to turn it around. Yorman is 6 months older but he played full season ball and Reynoso was in Arizona. Why Yorman. He played at a much higher level and has a higher ceiling. His year in Billings at 17 was better than Reynoso’s at 18. Why Reynoso. If you only have time to look at the previous year Reynoso looks better. While they both had problems taking walks Reynoso had his strikeouts under control. Yorman not so much. I know you like Yorman more as do I but I understand why Sickels and Baseball America picked Reynoso. Now to my question. Is it easier to reduce your K’s or increase your BB? Yorman struck out 24% of the time in Dayton and over 40% of the time in Bakersfield. Can he get these under 20%? Is this a make or break year for Yorman? Those are all outstanding questions. Honestly, I think it is generally speaking, easier to lower your strikeout rate than raise your walk rate. Now, with guys who have really low walk rates, it is easier to raise those up because it doesn’t take but 2-3 walks per 100 trips to the plate to make a real difference. Jumping from 4% to 7% isn’t really the same as jumping from 7% to 10%. In the end, I will take Yorman. His upside is a little bit higher. Looking back, Yorman walked 10 times in under 100 plate appearances as a 16 year old in the GCL. Then he walked 17 times over his next 380 plate appearances. I always have wondered how he would have fared if he weren’t rushed to Billings as a 16 year old in terms of his plate discipline. I think it is possible for Yorman to both lower his K rate and raise his walk rate. We have seen lower strikeout rates from him in the past. I will say this though, I honestly believe that Yorman is the riskier bet than Reynoso is. I don’t think it is a make or break year for Yorman, but it probably is a pretty big one for him. He is on the 40 man roster, so he only has so much time to do something. 1. How high is the upside on Pedro Diaz? 2. What kind of stuff does he bring to the table now? 3. Do you think Corcino will take Arroyo’s rotation spot in 2014, and have a better rookie season than Cueto did (assuming Corcino gets a full year in AAA under his belt)? 1. Pretty high. While I haven’t seen him yet, the sounds of it sonud like a #2/3 pitcher. 2. Above-average fastball. Good breaking ball. Solid change up. 3. Tough to say. I think it depends on how both Corcino and Cingrani do in 2013. If Cingrani picks up consistency with his slider, the spot could be his. If Corcino improves his control to where it was in Dayton, I think he could outperform what Cueto did as a rookie, though I think the difference will mostly be because of a much better defense behind him.